We are all familiar with geraniums that add pleasant pops of color and inviting aromas to our garden beds from spring to fall. Did you know that apart from decorating our homes, this colorful plant also yields an essential oil with amazing skin fortifying properties? Geranium essential oil is very popular in aromatherapy. Not only does it have excellent skin and hair care properties, it also soothes and relaxes the mind and body. 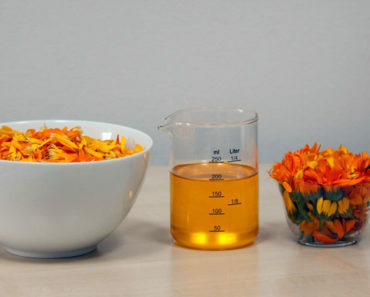 Let us dive into more details of this scented oil and learn about its skin care uses. The geranium plant has its origins in South Africa. It also grows extensively in Morocco, Egypt and Madagascar. This evergreen plant thrives in warm, sunny places. It is brightly colored, and the flowers have an uplifting scent. Although there are hundreds of varieties of geranium plants, only a select few are suitable for extraction of geranium essential oil. Oil is extracted from the leaves and stems of the geranium plant through the process of steam distillation. Freshly extracted geranium oil has a distinct fruity, floral aroma and the color ranges from clear to pale yellow or green. 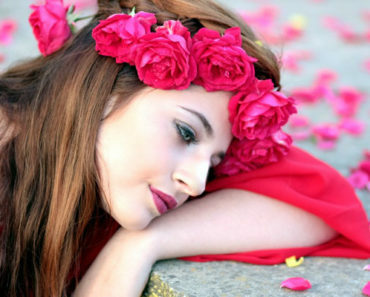 It is a thin non-greasy oil, that is also known by the name Pelargonium Graveolens. Geranium essential oil is composed of hydrocarbons, ketones and monoterpene compounds. It contains the following ingredients, each of which yields excellent health and skin benefits. Of the different constituents of geranium essential oil, Geranyl Acetate, Citronellol and Geraniol have excellent skin care properties. These ingredients have powerful anti-microbial, anti-oxidant, anti-inflammatory and anti-septic properties that makes the oil very useful for various types of skin problems. Geranium essential oil is a natural and safe product to use on skin and hair. This oil is also used in aromatherapy treatments and to address various physical and mental health problems. Geranium essential oil offers the following health benefits. Improves immunity — With excellent anti-microbial action, geranium essential oil boosts immunity and improves resistance to germs and diseases. Effective in curbing hemorrhages — The hemostatic properties of the oil make it an effective blood-clotting solution. Excellent diuretic properties — Improves the activity of the excretory system by facilitating discharge of fluids from the body and enhances elimination of toxins from the body. Improves cardiovascular health — Geranium essential oil helps in keeping the sodium levels in our body under check. As a result, blood pressure is regulated. Regulates hormonal activity — Geranium oil enhances the operation of the endocrine glands in the body. It controls hormonal fluctuations and prevents imbalances in the body. Effective stress buster — Geranium essential oil soothes and relaxes the body, thus reducing overall stress levels. It elevates the mood and helps to prevent conditions like depression, anxiety and mood swings. Heals wounds quickly — Geranium oil has excellent anti-septic and anti-inflammatory properties which makes it an effective cure for open wounds and for encouraging skin repair and regrowth. Acts as a muscle toner — By preventing the skin and muscles from sagging, geranium essential oil improves muscle tone and enhances the results of body-shaping exercises. Improves blood circulation — Massaging geranium essential oil on different parts of the body results in increased blood circulation. This in turn helps to prevent numbness or tingling in the limbs and extremities. Improves dental health conditions —When used as a mouth rinse, geranium oil acts as an effective antibacterial and antiseptic agent that prevents cavities and improves overall dental hygiene. Offers extensive benefits in skin care — This oil helps to control and correct various skin conditions like acne, wrinkles and stretch marks. Enables hair growth — Geranium oil balances oiliness of the scalp by regulating sebum production. It strengthens hair strands and follicles and encourages hair growth. Although geranium essential oil helps with various health conditions, it is renowned for its excellent skin care properties. This essential oil has powerful skin-fortifying ingredients that make it suitable for a variety of skin care treatments. Regular use of this safe and natural product yields significant improvement in skin tone and overall appearance. Wrinkles, accordion lines and sagging skin are tell-tale signs of ageing. As the skin ages, it becomes thinner and loses elasticity. So, facial expressions like frowning, smiling and squinting cause creases to set in these areas. When you are young, your skin is more elastic due to which these creases are quickly repaired. However, with aging, skin elasticity reduces and causes the lines to set in permanently. Geranium oil has powerful anti-oxidants that combat the appearance of fine lines by promoting cell renewal and repairing skin damage. It improves blood circulation in the skin, thus enhancing skin repair in areas prone to wrinkles and fine lines. It is also a good astringent that reduces pores and helps skin to appear taut and refreshed. Acne breakouts are caused by hormonal reactions in the body, environmental factors, food habits and genetic conditions. Excessive sebum production clogs skin pores and traps bacteria and germs, that cause the skin to break out. Although acne mostly affects teenagers, breakouts are not uncommon in adults. Acne is associated with redness and swelling, and the area is often sensitive to touch. Acne also causes scaring and blemishes on the surface of the skin. Geranium essential oil has excellent antiseptic and antimicrobial properties that help with acne problems. When applied topically to the affected area, it curbs the growth of bacteria and microbes that aggravate acne. The oil also regulates sebum production due to which the occurrence of acne is reduced. Anti-inflammatory properties of this oil help to reduce inflammation and redness in the acne site. By increasing blood circulation and promoting fresh cell growth, it enables skin repair, removes scars and restores the skin to its original condition. Skin is prone to damage from exposure to the harmful rays of the sun, environmental pollutants, dehydration and sensitivity to synthetic agents in skin products. This can result in scars, blemishes, dark spots, pigmentation, inflammation, redness and dry or irritated skin conditions. Damaged skin needs extensive care to overcome existing issues and regenerate itself. Geranium oil is a powerful agent that aids in the healing of various skin problems. The cicatrizing properties of geranium oil quicken the process of healing wounds and scars. By improving blood circulation and regulating sebum production, geranium oil not only repairs existing damage but also prevents further problems from appearing. Consistent application to affected areas will quickly restore the skin to its original condition and improve overall skin texture. The appearance of the skin becomes dull with continuous exposure to dust, germs and other environmental pollutants. It is a widespread practice to use commercial skin care products to cleanse the skin of these external agents and clean it. However, these products are full of synthetic agents that can cause several unwanted side-effects. Geranium oil is an excellent natural skin cleanser that helps to cleanse skin from deep within. It eliminates dust and other particles that settle on the skin and restores the original appearance. This oil also has remarkable astringent properties. As a result, it can reduce pore size and help you obtain firm, well-toned, youthful looking skin. The quality of our skin is directly linked to the overall health of our body. When the body is flooded with toxins, the skin presents several types of problems like skin flare-ups, excessive oiliness or dryness and enhanced signs of ageing. Geranium essential oil is a powerful anti-oxidant that removes free radicals that cause unwanted conditions like premature ageing of skin and hair. By detoxifying the body from within, it improves the skin’s ability to function and repair itself. It also enhances the skin’s barrier function, helping it to fight sun damage, oxidation and improving resistance to external agents that cause skin damage. Just like our skin, our hair is also susceptible to environmental pollution, sun damage and effects of harsh chemical and heat treatments. As a result, it can suffer extensive damage and lose its vigor and shine. Geranium essential oil has amazing restorative and nourishing properties, by which it improves scalp health, strengthens hair follicles and enhances hair growth. It tones and nourishes the scalp, thus resulting in thicker, more luscious hair with good texture and shine. Regularly including geranium essential oil in skin care will help with repair of existing skin conditions. By protecting the skin from the effects of external agents, improving blood circulation and controlling sebum production, geranium oil improves complexion, skin tone and overall skin health. One of the easiest ways to use geranium oil on a regular basis is to add few drops of it to your moisturizer or face cream and apply it to your skin daily. You can also use it for spot treatment and use it directly on blemishes, spots or areas with sun damage. Applying few drops of geranium oil into your bath water or massage oil is another way to enjoy the benefits of the oil. While cleansing your skin, its aromatic scent will also uplift your mood, thus providing stress-relief and relaxation. Here are some more uncomplicated ways to include it in your daily skin care regime for best results. 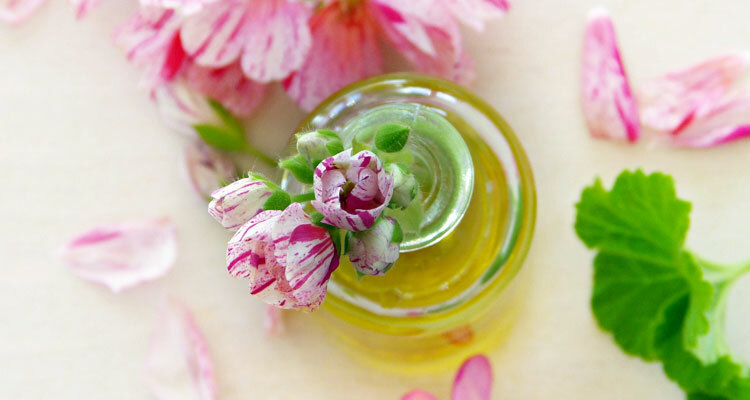 Blend geranium oil with the carrier oil you prefer in the mentioned ratio. 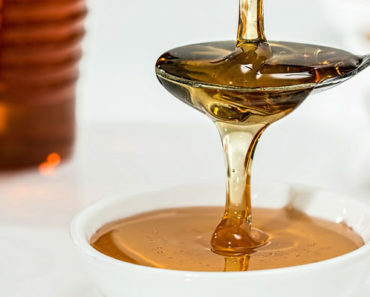 Slowly massage this mixture into your facial skin in soft, circular strokes. Let it absorb well and wipe off the excess with a cotton ball. Mix fuller’s earth with rose water and distilled water to make a smooth paste. Add the suggested quantity of geranium essential oil to this paste and blend well. Apply to clean skin and leave it on to dry completely. Rinse it out and follow up with a moisturizing lotion or cream. The quality of the oil you use will affect the results you obtain from it. The best geranium oil will be pure and free from artificial ingredients and synthetic fragrances. Any additives, including fragrances and color, will affect its therapeutic qualities. Always check the ingredient list before buying, to ensure its purity and effectiveness. When using geranium essential oil, keep in mind that it is a concentrated form of the herb. Although it is milder than other oils and can be applied directly to the skin, geranium oil should be used in moderation. Before direct application to the skin, perform a patch test to check for sensitivity. You can mix geranium oil with pure carrier oils and use the blend regularly in your skin care regime. Coconut oil and jojoba oil are carrier oils that improve effectiveness of geranium oil. You can also use this oil in a diffuser or vaporizer for inhalation. Since there are limited scientific studies on the effects of this oil, it is suggested that pregnant and lactating women avoid it. Also check with your medical practitioner before using it, if you are on any type of long-term medication or have any allergies. Ancient Egyptians recognized the effectiveness of geranium essential oil in skin and hair care thousands of years ago. 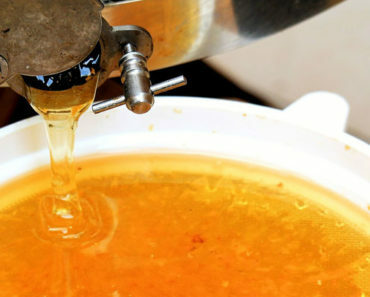 Since then, this oil has enjoyed unique stature as a practical solution to many skin care problems. 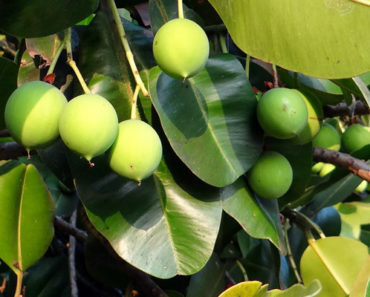 By correcting skin damage, improving blood circulation, enhancing skin tone and addressing various skin and hair issues, the advantages of this oil are numerous. Add this essential beauty secret to your regular skin care routine and it will be one of the best decisions you make. Tamanu Oil for Acne – How Do I Apply Tamanu Oil to My Skin?